On our very first trip to the airport with Mikko. It hasn't gotten much easier with time. I am still at my in-laws' house and trying in vain to write this in its entirety. I'm writing this intro last, because it was the part that required the most thought, and thought is sorely lacking when you're visiting relatives. This past week, as with most family visits, has been a combination of uplifting and frustrating. It's so good to see Mikko connect again with his extended family, and yet there's so much tension that goes into travel with a child, and so much tension that goes into interacting with family members who don't think the way you do — and who think you really should stop thinking that way yourself. Just as an example of one of the downers, I can't tell you how many frozen Nestlé dinners I've had this week. It's pretty much all my mother-in-law serves these days, as a decided change from her previous love of cooking from scratch. She's not even timid about offering frozen meals — she talks them up like they're the Greatest Thing Ever. I can't decide if I'm still morning sick or just processed food-sick. But she's a sweetie, so I haven't told her why Nestlé is the worst company ever; she'd probably even believe me and stop buying all her favorite foods. I don't know. Sometimes I just want to get through visits and get back home to my regularly scheduled life. I have a few articles coming up, including a guest post tomorrow from Michelle of The Parent Vortex, on travel-related and visiting-related themes that will hopefully put you in good stead for your holiday plans and beyond. It won't magically make traveling with children easy, but I hope it takes the edge off. I also have several giveaways of traveling-friendly items, detailed below. "On needing to be seen" from this woman's work: A great take on what's better than praise. "Praise is easy but seeing someone is hard. It’s much more effortful. You can toss off a compliment ('Nice shoes!') much more easily than you can stop a minute to focus and see the shoes." "What is the purpose of parenting? What do you want your child to walk away with when he grows up? What do you want him to feel from you now? That he has to be punished and sit away from everyone when he’s 'bad' or that you will demonstrate the way to handle himself appropriately right in the moment, rather than placing him aside to think about it." "be your child’s friend…" from living peacefully with children: On how to be both a parent and a friend. "The irony of what they said as they sat talking to their adult son seemed to be lost on them. He was grown. He no longer needed a parent, and because his parents were never his friends, they really had no place left in his life." This post was linked to from her post for this month's Carnival of Natural Parenting, which was also about looking at long-term goals when we make our parenting decisions, because children don't stay children forever. Sam's and my relationships with our parents are long-distance in many senses, and it's honestly one of the reasons we were so ambivalent about whether and when to have children. Here's my comment on the post, which sums up what I was thinking: "I have gone through a lot of thinking through what I wish for our relationship when my children are grown — and unfortunately, I can’t base it entirely off the relationships Sam and I have with our parents, because I want different, and better. I think keeping those long-term goals in mind helps you focus your short-term goals. Knowing that you want your child to respect you and connect with you as an adult makes you more apt to treat him with respect and connection as a child." 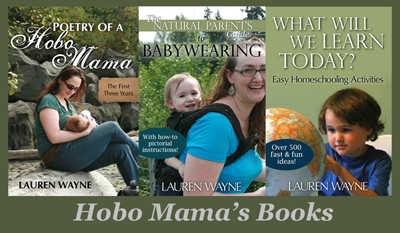 I can't mention the November Carnival of Natural Parenting without putting in a general plug. 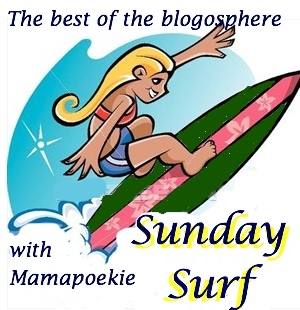 Each month I feel like Sunday Surf-recommending, like, every article, but that would be excessive. This month, for instance, we had over 40 writers. And to plug a few would make the other participants feel like "liver chops," as my cousin used to say (and still does, for all I know). So all I'll say is that, this month as in all months, I'm so pleased with the diversity and wisdom of our writers' entries, and I hope you'll take the time to browse a few. I'm also happy that we were able to categorize them according to our new organizational system on Natural Parents Network and sponsor the carnival jointly with Natural Parents Network. And, now, speaking of Natural Parents Network, if you haven't visited yet, I highly recommend it, and not just because I'm a co-founder. Here's a little update on what to expect over there and how you can get involved in the burgeoning community. We'd love for you to take part! "Study: Breast-Feeding Moms Get Just as Much (or Little) Rest as Formula-Feeders" from Time Healthland: Interesting study that backs up what I already knew/suspected, that parents who have to feed infants don't get the best sleep, regardless of feeding method. And that breastfeeding is not the culprit, because even mothers who wake more often to breastfeed get overall the same amount of sleep, perhaps because they don't wake up as thoroughly and perhaps even sleep through some feedings. Also, the article has a cool picture at the top. "The Inconsiderate Breastfeeding Woman" from Citizen of the Month: This was linked to in a previous Sunday Surf by Authentic Parenting, but I hadn't gotten around to reading it till now. As a spoof of NIP nonsense, it made me laugh. "In the boycott I don't see a clear goal for good. If bloggers put Amazon on a hitlist and detail all the books we find offensive, we put our time and energy into distasteful content. We highlight titles, expose content, and draw attention to the sick, disgusting, and abhorrent. I want to instead focus that time and energy on good: shining the light on uplifting books, the products of ethical companies, and content that inspires, elevates, and encourages (which Amazon carries in abundance). Worse, what happens if Amazon begins to censor their offerings? Do we want another party deciding for us what's appropriate, and what's not? Would we be any more comfortable with the new line they choose?" Her post incidentally gave me the courage to write my own response at Lauren Wayne.com, though with great fear and trembling that people will think I'm defending disgusting crimes against children, when really I'm just saying I don't think the boycott is appropriate. It wasn't until after (honestly) I wrote my rebuttal of the boycott that I remembered: Probably over 95% of our income comes from Amazon. I mean, our real income, selling DVDs online, not our bloggy spending money, such as it is. So if I boycott Amazon and everyone else does, too, my child starves. How's that for bias? But, seriously, I wasn't even considering that when I was writing about how I don't think the boycott is the right tack, because I'd support your right to protest and avoid companies you find reprehensible, even if they do provide our bread and butter. The fact that I don't think of Sam and me as working for Amazon or in any strong way affiliated with Amazon is actually in itself a testimony to the crux of my argument against the boycott: Amazon is a marketplace, not an employer of the sellers who utilize its selling platform, and not a publisher or editor of the books it allows on its site. Amazon doesn't scrutinize the products Sam and I sell unless someone complains (as has happened, with DVDs that were suspected by customers, usually wrongly, to be bootlegs or had been pulled by the company or for other reasons), so my response to yucky material on Amazon is to complain to Amazon about the specific products. It works. The offending book was pulled, and the same has happened to us with DVDs they deemed unacceptable for whatever reason (sometimes for no apparent reason). Amazon, despite its pathetic, flip-flopping, inaccurate non-response to the controversy, takes customer opinion seriously. Therefore, to me that means a boycott's unnecessary. I will now brace myself for the flames. "My Brest Friend breastfeeding prize kit" from My Brest Friend: This $155 prize pack features their patented flat nursing pillow, a travel pillow with all the features of the original but that inflates and deflates for easy take-along comfort, a nursing cover, a wooden nursing stool to help your posture even more, and breastfeeding supplements, including a multi, fish oil, and fenugreek. Contest is open to U.S. and ends November 23. "Giggle Junction I Spy Bag": This is part of my WILL TRAVEL special event, in which I present ideas to keep little ones amused in planes, trains, automobiles, waiting rooms, restaurants, or in-laws' houses. 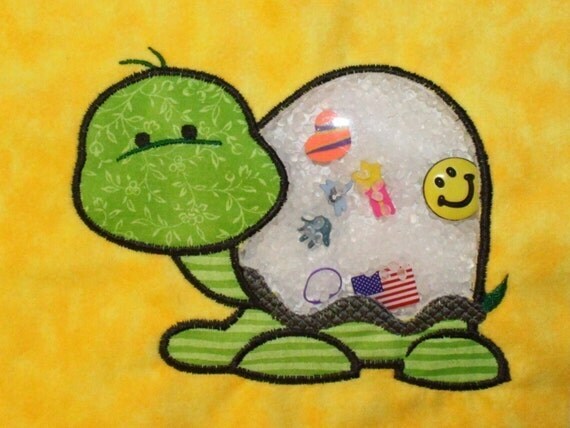 Check out these home-sewn toys from from Giggle Junction on Etsy. The designs on the flannel pillow are adorable, and there's a see-through window that feature thirty miniature items hidden among the plastic pellets inside for your little discoverers to seek out. Contest has been opened WORLDWIDE and closes November 30, perfect for Christmas travel or holiday gifts. "Grow Smart Games My Pocket Games or I Spy Sensory Stick — winner's choice!" from Grow Smart Games on Etsy: This is also part of WILL TRAVEL. You get your choice of a uniquely shaped I Spy tube with lots of little goodies hidden inside for little eyes to peek at, or a fun collection of old-fashioned games that pass the time, such as Hangman and The Alphabet Game, on decidedly newfangled laminated cards with an attached dry-erase marker. Contest is open to the U.S. and Canada and ends December 7. Ah, my MIL's cooking! It's not frozen foods, but it is so different from what I like that most times I only ever eat the bare minimum required to show appreciation... and if I have to spend more than a few days eating it, I turn into this starving, aggressive person. I always enjoy reviewing your links (for inspiration! ), but it takes me a couple more days to get to / through them. I look forward to it! I saw that article on sleep with a breastfed vs formula fed baby on CNN. They did not have that beautiful picture! It was a good article, I think, but I wish they had added that bed-sharing means even more sleep for a breastfeeding mother. Okay, just read your bit about Amazon. I am choosing to boycott them. However, this is how I'm doing it: I may look for items on their site, but once I find what I want I will go to the seller's site if I can to purchase. Cut out the middle man so to speak. I don't know if you have your own site, but many sellers do. By the way, I've been curios about what types of DVD's you sell, if you don't mind sharing. muminsearch: Totally! I actually end up stuffed, because it's too much food, but unsatisfied, you know? And my intestines…owie. Momma Jorje: I saw you & meant to comment, so I just added you instead! :) You're right about the Innate Wholeness link — that's odd. I don't see it there anymore! Olivia: Agreed about bed-sharing; I think it was somewhat implied by saying breastfeeding mothers can sleep through some feedings/not wake as much, but it would have been nice to see it explicit. We don't have our own site; it's all done through the Amazon Marketplace. We sell all kinds of DVDs, just anything we can get a good price on elsewhere to resell. A lot of them are classics from the 1930s/40s that don't lose their resale value as quickly as newer titles.